Hi, I'm looking for a catered chalet (but would look at self catered) over New Years. We are 2 x families requiring 2 x rooms for the adults plus one or two rooms for the kids aged 5, 7, 9,10. We're looking in the 3 x Valley's area. Ideally arriving Saturday Dec 29th to 5th Jan. Please let me know of availability and cost. We have a self catered chalet available from 29 December for one week. With La Tania’s blue piste on the doorstep, ski-in, ski-out Chalet Dahu is in an unbeatable location just 250m from the village centre. The open plan living and dining room is centered around a log fire and feels warm and inviting. The room has large windows and opens onto a balcony, which has a spectacular view overlooking La Tania’s pistes. The bedrooms (5 twins and 1 double) each have their own bathrooms and we provide quality linen and towels during your stay. The ski room has a boot warmer, which turns putting ski boots on into a treat each morning! With an outdoor hot tub, we can offer the ultimate in relaxation after a day on the slopes of the amazing Three Valleys. La Tania is renowned for being a good value resort from which to ski the celebrated Three Valleys. With a friendly atmosphere, good après-ski venues as well as restaurants ranging from good old pizza to Michelin-star dining, the village attracts young families and groups of skiers and boarders. This is a self catered chalet. We provide bed linen, bath towels and bath robes and a welcome hamper with a few essentials. We can provide if required for an additional charge a bread delivery service, and drinks packs. (wine, beer, and soft drinks) We can also put you in contact with a company which offers a dinner delivery service. I can offer catered chalet accommodation in La Tania (3 Valleys) from Sat 29 Dec - 5 Jan.
Chalet Tania has 4 ensuite bedrooms. It has a comfortable open plan lounge and dining area with log fireplace and great views. There is wifi internet and the chalet is conveniently located approx. 100m from the piste and village centre. I do also have space in Chalets Bouquetins or Pavot if you are happy to share with others. The price for 3 rooms would be £889 per adult and £755 each for the 3 older children and £622 for the younger one. We’d love to welcome you to Meribel Mottaret. Chalet Clementine has 10 beds in 5 double/twin en-suite rooms. The living/dining area is open plan and spacious with a wood fire and great views up to Mont Vallon. After a hard day on the mountain you can relax in the sauna or enjoy a glass of wine whilst you wait for a delicious dinner to be served. It is situated right in the centre of Meribel Mottaret, with plenty of restaurants and bars and it’s just a short walk across the car park to the slopes. The price for sole occupancy for your dates is £11,650. We provide gourmet food starting the day with a hearty breakfast. On your return from the slopes there will be a homemade cake or biscuits for you to enjoy and the evening starts with canapés and cocktails followed by a relaxed and delicious 3 course meal with unlimited wine. We can also provide an earlier 2 course children’s meal. The Three Valleys has excellent ski-ing for all abilities. The Meribel Valley has great, well thought out beginner areas, plenty of blues and reds, and more challenging blacks and accessible off piste for the more experienced. There’s fast access to both Courchevel with its vast open pistes and interesting couloirs, and Val Thorens, known for its high snow sure slopes. 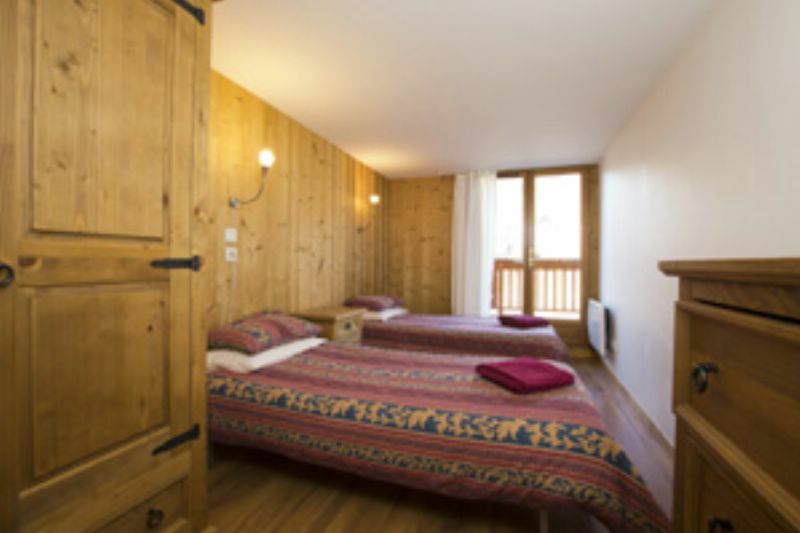 4 rooms in chalet Murette, rooms 1,2,3,4. Total price for your party £6853.44. LOVELY CHALET- Newly renovated stylish chalet decor with antique wood, six bedrooms with new beds and six bathrooms, dining room and separate large living room with Wi-Fi, TV, DVD, Sky and Nintendo Wii. 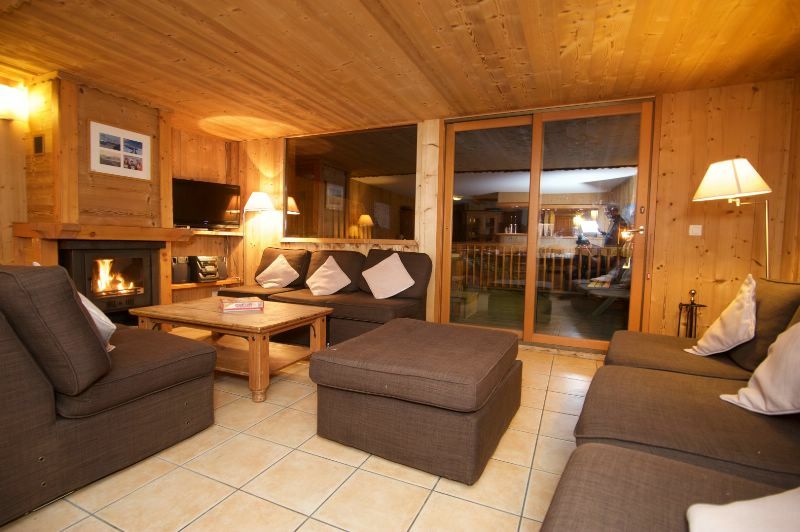 Look no further for your ski holiday than our lovely chalet Panda in La Tania. Situated just a few minutes stroll to the piste, Panda is in the ideal location for ease of access to the slopes! The chalet has 6 en-suite bedrooms, an open-plan lounge/dining room, and TV/games "snug" to help keep the children entertained and a spa area with indoor sauna and outdoor hot tub the help relax the adults. The living area of the chalet is on the ground floor, so perfect to allow the children outside to have snowball fights and build snowmen, while the adults keep a watchful eye by the fire, with a glass of Prosecco in hand! We pride ourselves on offering a boutique chalet experience where your every need is catered for. We only employ professional chefs who will delight you with their culinary creations, and the host will ensure your glasses are always filled! Please do take a look at our website at www.come-ski.com and let me know if you would like more information and an accurate price quote for your group. We would like to offer you sole use of Chalet Vallon Blanc in La Tania for the 29/12 for £8,990 on a catered basis with shared return transfers from Geneva included.